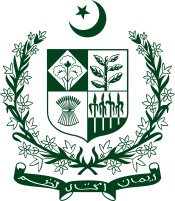 The Prime Minister of Pakistan (Urdu: وزیر اعظم‎) Wazeer-e-A'zam), is the Head of Government of Pakistan. The current Prime Minister is Imran Khan. The Prime Minister is elected by the National Assembly, members of which are elected by popular vote. Most commonly, the leader of the party or coalition with the most votes becomes the Prime Minister. The Prime Minister is responsible for appointing a cabinet. The President has the constitutional reserve power to remove the Prime Minister by a dissolution of the National Assembly, triggering new elections. This page was last changed on 25 August 2018, at 17:50.